Living Faith Church in Damaturu was destroyed by Boko Haram in October 2011. One of the major organisations representing Christians in Nigeria has welcomed the US State Department’s announcement on Nov 13 that it has designated Boko Haram a Foreign Terrorist group (FTO). The Department also classified its splinter group Ansaru as an FTO. Boko Haram is believed to have links to Al-Qaeda in the Islamic Mahreb (AQIM) and is responsible for thousands of deaths in its efforts to rid Northern Nigeria of its Christian presence and impose Islamic law. The Christian Association of Nigeria (CAN), which represents a number of the major denominations, said via its General Secretary, Rev. 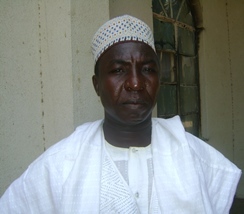 Musa Asake, that the classification was what the organisation had been seeking. “The designation of Boko Haram as a terrorist organisation is what we in CAN have all along been clamouring for. Although we are of the view that the dreaded Islamic group should have been so classified long before now, the fact that it has happened is a welcome development and we are delighted by it. In May 2013 the Nigerian government announced a State of Emergency in Yobe, Borno and Adamawa states in an effort to end the insurgency, with an influx of additional Army forces. However there is little evidence that this is succeeding in its objectives, as terrorist attacks continue every week. There are also reports of human rights violations by the Nigerian military. Ansaru is a Boko Haram splinter group that has attacked several Western and Nigerian targets. It claimed responsibility for the kidnap and murder of seven international construction workers earlier in 2013. The BBC’s Nigeria Correspondent reports that, whereas Boko Haram (a Hausa phrase which literally means ‘Western education is forbidden’) had earlier been seen as only a domestic threat, its attacks over the past three years (including on a UN building in the capital, Abuja, in 2011) have shown a wider international threat. Rev Faye Pama, CAN Secretary for Borno, was killed by suspected Boko Haram members in May. The consequences of these designations include a prohibition against providing material support or resources to the groups or engaging in transactions with them. It also means that all its property and interests in property in the U.S, or that connected to U.S individuals, will be frozen. These designations will assist U.S. and other law enforcement agencies in efforts to investigate and prosecute terrorist suspects associated with Boko Haram and Ansaru. “These designations are an important and appropriate step, but only one tool in what must be a comprehensive approach by the Nigerian government to counter these groups through a combination of law enforcement, political, and development efforts, as well as military engagement, to help root out violent extremism while also addressing the legitimate concerns of the people of northern Nigeria. All of our assistance to Nigeria stresses the importance of protecting civilians and ensuring that human rights are respected. That assistance and these designations demonstrate the U.S. support for the Nigerian people’s fight against Boko Haram and Ansaru,” the State Department media note read. Officials told the US media that the designation as FTO of these two groups did not come earlier because the State Department needed to conduct an extensive and timely process of review and research to determine the effectiveness of designating them as FTOs. Although there were concerns earlier that declaring Boko Haram an FTO would only encourage extremists to join its ranks, senior State Department officials told journalists they believe this move serves as an important signal to those who would be interested in becoming part of the organisation. The U.S. State Department had already declared three of Boko Haram’s leaders as ‘global terrorists’ in June 2012. In March this year it put a $7 million (5.3 million euros) bounty on the head of Abubakar Shekau, the elusive Boko Haram leader. The Nigerian military claims it killed him in August 2013, but there has been no independent verification of this. According to senior US State Department administrative officials, their declaration came with the support of the government of Nigeria which had already declared Boko Haram a terrorist organisation in August 2012. A UN aid agency estimates that the Nigerian government’s offensive against Boko Haram has pushed nearly 40,000 refugees into neighbouring Niger. Thousands have also spilled into Cameroon.